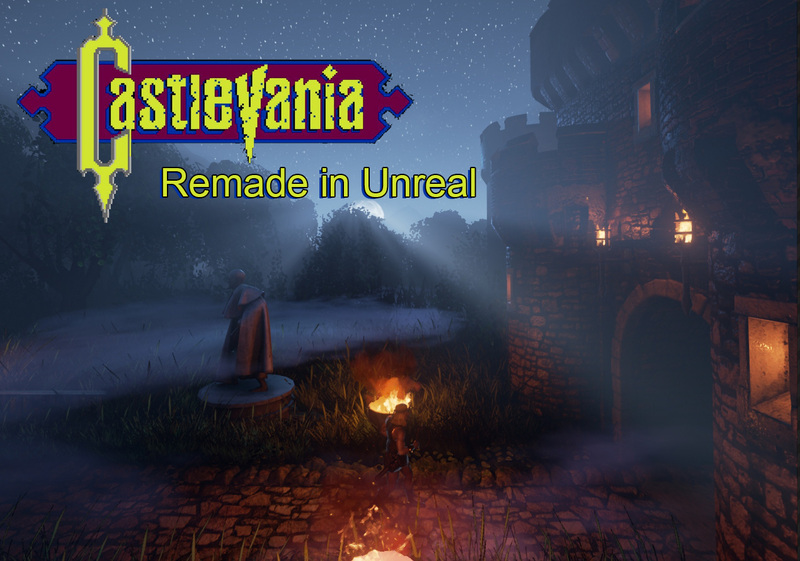 Remake of Castlevania in unreal, that i've been hammering away at for the past.. well a year now. finally got a C&D from Konami. they've allowed me to keep the files up for now, but all development and updates must be ceased. there's a small glimmer of hope though, Jay from Konami UK will do what he can to see if it's possible to get an official license. fixed dogs getting stuck when jumping. improved heavy fall stun effect, to make it more like the original. added medusa boss with placeholder, endlevel pearl etc. did more adjusting of light on level 1.
fixed some pickup sounds that had gotten broken due to bug with unreal parent->child relationship. 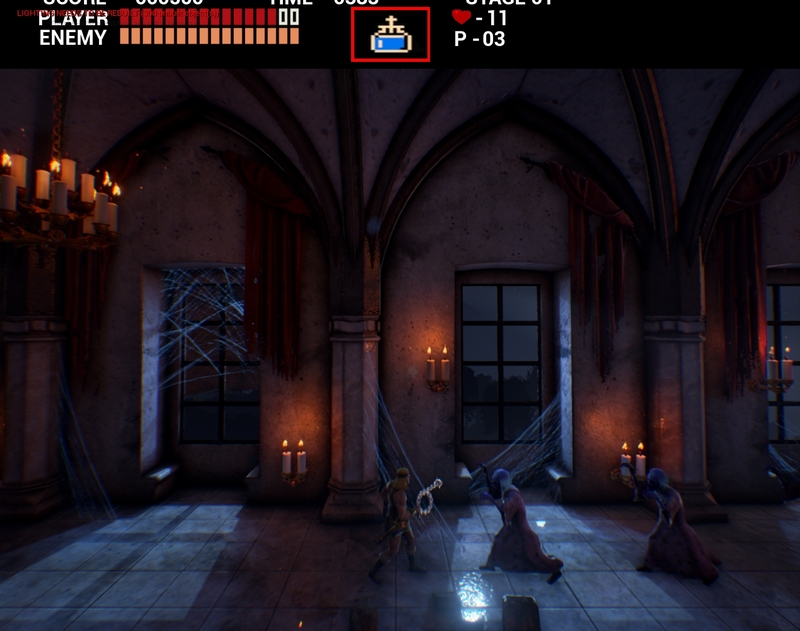 adjusted lights on candles, which should improve framerate. created a normal map for the bossbat on level 1.
bat should no longer pass through wall on level 1.
adjusted the wallchicken wall, it should now break like in the original. adjusted platform movement. they now move on a sine curve like the original. added pause menu help screen. press enter to see it. framerate is now massively improved in certain areas. the culprit was dynamic lights from particle effects on chandeliers on the roof. i made those lights static, and turned off the particle effects, and i'm now able to run those areas at over 30 fps on my laptop with a geforce GTX 860M with no loss of visual fidelity. the middle section of level 1 however has temporarily become a bit of a performance hog however, due to some testing i'm doing with deferred decals, so the laptop is struggling with those areas. i'll probably have to bake down those areas into textures instead or something. whip control has also been improved quite a bit. but i think i'll work some more on that still. level 1 has been shortened a bit to conform more with the originals size. particularly the begin area was too long. i've also brightened up a few spots here and there, and proofed myself from an unreal bug which causes child blueprints to sometimes reset all values for no reason. oh and i added a 32-bit download. no guarantees that it will run well on such old machines though. 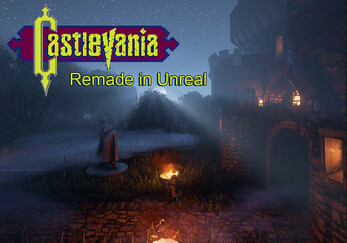 to play, simply unzip and click on the icon that says "Castlevania1"